The news of Kyambogo University strike and subsequent closure has caused a lot of hullabaloo among the public. There have been several strikes both students and teachers at Kyambogo in the recent past after merging the three institutions; Kyambogo Polytechnic, Institute of Teacher Education Kyambogo and Uganda National Institute of Special Education. The attribution of this confusion points at poor management of the university where by the Vice Chancellor Prof. Lutalo Bossa was rejected by the academic staff. This friction sparked other squabbles over salaries, titles for various heads of departments etc. The government should consider poor parents who struggle to pay school fees at this university. Their children are now wandering on the streets or in villages not sure of what the future holds for them. It is important to look into the matters of Kyambogo squarely and urgently. Delayed reopening of the university will continue to inflict further dent on the academic performance of the students who have been made redundant for close to two months now. Universities worldwide concentrate on academic excellence by producing human resources that will help sort out the challenges of that society. They go into research and innovation in order to catch up with the ever changing demands of our communities. But this cannot happen amidst situations of chaos and uncertainty. In the recent times, Uganda's institutions of higher learning have taken to strikes and secession maneouvres as was the case of Makerere University Business School. Rather than rearrange their academic curriculum to suit the changing demands of the labour market, the universities are preoccupied with duplicating courses and departments largely for opportunistic reasons. The squabbling that has raged on between Makerere University and MUBS is a classical illustration of how poor management or lack of it has riddled the once cherished public universities. Never mind that the struggle is about nothing but supremacy. It is important that the government and its organs like the National Council for Higher Education intervene to save the students and parents from losing their huge investments in tuition due to poor administration in these institutions. The problem is not too hard to solve. It's only that our elites have failed to match their academic knowledge with the realities in life. At Makerere University, a wall fence was erected but it collapsed after a week yet the university is producing engineers for the country and the world over every year. What do you expect of them in the field if they cannot do it in their own homestead. That's why my good professors such as Lutalo and Livingstone Luboobi are victims of misconception that every professor can be a good manager of a university which is totally a farce. We need to think harder into these issues. A good manager is not one who holds a doctorate. It is rather one who understands the needs of the community they lead. The earlier the managers of these public universities realise this, the better for the country. Recently, big employers such as NSSF and other organisations had to refer transcripts of their employees back to their previous public universities for verification. Whereas not all of them were found to have forged their way into the jobs, the culprits were products of these public universities! The strikes that have characterised these universities just prove how low the standards in there have sunk. 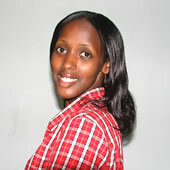 The writer works with Uganda Media Centre. Just right leadership is structured to construct on successes. Most persons get pressured when it comes to elections time. They real are not able to work out for themselves who's the right leader to vote for. How to follow research paper rubric (hsscollege.com/expert-tips/how-to-follow-research-paper-rubric)have a peek at this site. Join in and write your own page! It's easy to do. How? Simply click here to return to Education.